With the development of the ALGcontrol microLAN adds a new technique to the existing iTOXcontrol. 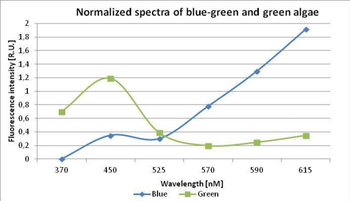 This technique is capable to identify classes of algae and to convert fluorescent values into chlorophyll-a concentrations. The ALGcontrol for algae differentiation uses 7 LEDs for fluorescence excitation. The LEDs emit light at 7 selected wavelengths.